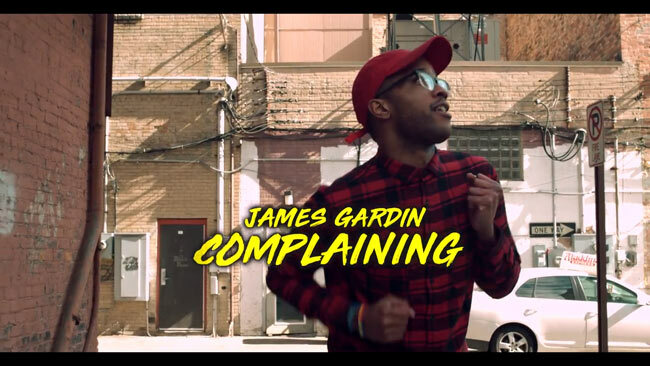 James Gardin keeps it moving with a new video for his single "Complaining". The funk inspired single features production from Young Heat. "Complaining" features a dance-floor moving groove with a tight, driving style that aims to bless listeners worldwide. Gardin says, "It's so easy to complain about what is wrong and all we think is going against us, but if we sit back and recognize the power we have, we can take the steps to change our lives." The single has had a great run with a premiere on Hot97, an NPR feature, and even being the theme song for ESPN's First Take the month of December.